I think I’m at a very confused stage of my creative journey. I turned myself into a full time papercut artist since 2013. And so far I’m on a hell of a ride. I mean the kind of ride which scares the wit out of me most of the time. I had so far got 3 series of papercuts under my belt and managed to sell 1 of them from my Etsy shop since Dec 2014. I had so much mixed feelings and thinkings about my work that I’m in constant conflicts. Every time when I look at my work, I’m amazed by the beauty and the intricacy of it. Each one of them are an one-off creation. I can’t replicate the design at will. It is in this sense that I have a strong belief that my work are good work. Hence I extend this belief and trust that the work is saleable. I’m not saying that people should flock to buy it or it will be sold out as soon as I listed them in my Etsy shop. But not like just one single sale since Dec 2014. Apart from the online selling, I also followed the usual step to make my work visible via social media and in my case it was Instagram. I had 3 Giveaways so far. The first two giveaways had a few participants which was expected. However with the latest one, I’ve only got 1 entrant. Let’s not go near to the emotional roller coaster I had with 1 entrant from a giveaway. What baffled me most was the fact that when I gave away my work, no one was interested. I understand that papercut art is not everyone’s cup of tea. And the world doesn’t owe me anything. But …. you know where I’m heading. This got me thinking about all sorts of things. But one thing keeps coming up. It is about the “subjects” of my papercuts. For those who are not familiar with my work, I sincerely encourage you to go over to My Papercuts page for a quick view. 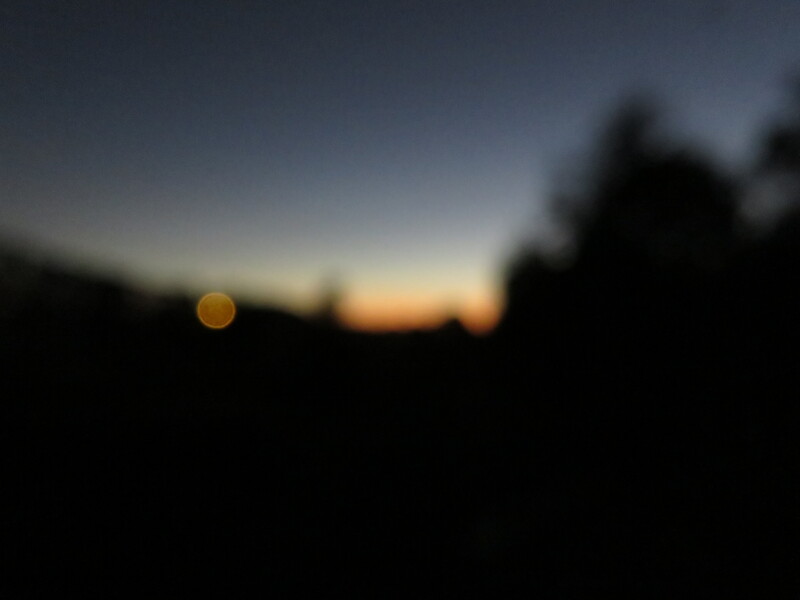 But in case you don’t have the time, here is a photo of it. 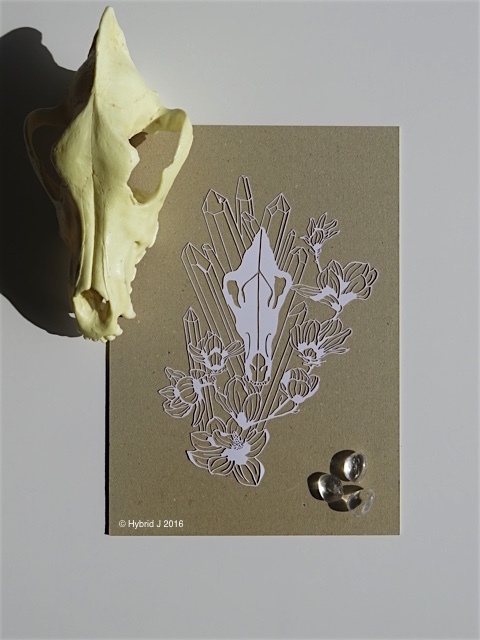 To ensure you got the picture (no punt here): I combine flowers, crystals and animal skulls images to make papercut artworks. Again I’m aware that such subject matters are not for the majority’s likings. But there are certainly people out there who enjoy papercut art as well as natural elements like flowers and crystals etc. Yes, I do admit that the flowers I pick for the current series are not among the most popular kind, like roses, carnations etc. The choice I made was based on my research on “magical properties” of the flowers. To me the “magical properties” are symbolic meanings of the flowers. It is also my way to create another layer of meaning of my papercuts. Apart from offering people beautiful artworks, I also want the papercuts to come with good will, good gesture and good intention. Of course, I don’t rule out the fact that I want to be different and to stand out in my own way play an important role in the choice of the subjects I use for my papercuts. But now that with such a lack of respond from online sales to giveaway, I’m having some serious doubts. This is where Being True comes in. First off, let me make this clear. I have no qualms with any popular flower images. I like roses just like the next woman. It’s just that for my current project, popular flowers are not on the menu. And I don’t think it is going to happen very soon. Perhaps I’ll have some more idea when I’m further down the creative path. But for now, please allow me to just put these questions and frustrations out there in the vast Universe.